"On Friday noon, July the twentieth, 1714, the finest bridge in all Peru broke and precipitated five travelers into the gulf below." 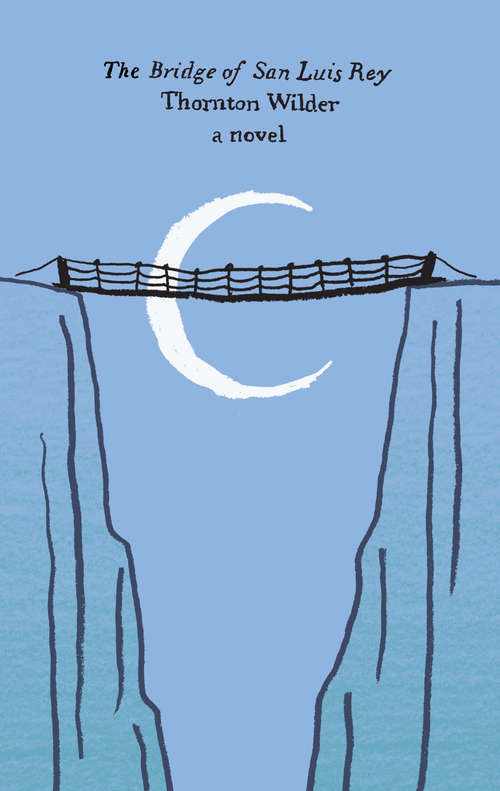 With this celebrated sentence, Thornton Wilder begins The Bridge of San Luis Rey, one of the towering achievements in American fiction and a novel read throughout the world.By chance, a monk witnesses the tragedy. Brother Juniper seeks to prove that it was divine intervention rather than chance that led to the deaths of those who perished in the tragedy. His study leads to his own death -- and to the author's timeless investigation into the nature of love and the meaning of the human condition.The Bridge of San Luis Rey is now reissued in this handsome hardcover edition featuring a new foreword by Russell Banks. Tappan Wilder has written an engaging and thought-provoking afterword, which includes unpublished notes for the Pulitzer Prize-winning novel, illuminating photographs, and other remarkable documentary material. Granville Hicks's insightful comment about Wilder suggests an inveterate truth: "As a craftsman he is second to none, and there are few who have looked deeper into the human heart."